Two state senators will soon introduce a bill to legalize recreational marijuana in Pennsylvania, marking the second time this year such a bill has surfaced in the Pennsylvania legislature. Sens. Daylin Leach, D-Montgomery, and Sharif Street, D-Philadelphia, revealed the details of a bill that would legalize cannabis for adult use and create a framework for social equity, justice and small-business provisions surrounding marijuana cultivation. Under the proposed bill, marijuana use would become legal for anyone 21 and older and nearly all personal possession offenses would be decriminalized. Those serving solely marijuana-related sentences would receive commutations, probationary and parole programs would end, and pending criminal charges would be dropped. While public consumption of marijuana would be prohibited, regulation would allow business to permit cannabis consumption on their premises, including the opening and operation of lounges. The seed-to-sale tracking system currently guiding Pennsylvania's medical marijuana program also would be eliminated by the bill, enabling households to grow up to six marijuana plants at a time for personal use. Large grow operations would be regulated by macro-licenses overseen by the state and municipalities. Current medical license holders, who have a head start with infrastructure and branding, would automatically be given licenses for the recreational space. 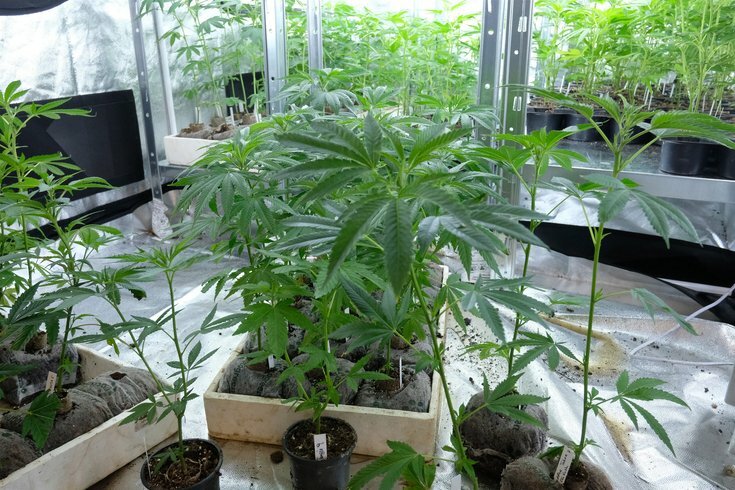 Micro-licenses for private growers would not be capped, though there would be a three-tier system regulating the number of plants they are permitted to grow. Their product would only be permitted for sale to the "grid" of licensed growers and dispensaries. Home delivery and university marijuana cultivation programs also would be approved under the proposed legislation. While tax rates for marijuana were not specified, the social equity component of the bill would stipulate that the majority of revenue go toward the state's public education subsidy. School districts could then choose the proportion of investment they want to put into the district or reduce local property taxes. Pennsylvania Auditor General Eugene DePasquale, who supports marijuana legalization, has projected that the industry could generate between $500-600 million in annual tax revenue for the state. "The bill’s taxation of the cannabis industry balances the need to undermine any illegal market and the needs to both pay for regulation of the industry and invest in those harmed by prohibition," an outline of the bill explains. Leach and Street's bill comes about six weeks after State Rep. Jake Wheatley, D-Allegheny, reintroduced legislation to legalize and decriminalize adult-use cannabis. His bill, which seeks to direct revenue toward affordable housing and student debt relief, has garnered support from 27 co-sponsors. Like New Jersey, where lawmakers are finalizing a recreational marijuana deal, Pennsylvania would need legislative action rather than a ballot referendum to legalize cannabis. Pennsylvania Gov. Tom Wolf has signaled that his administration will take a serious look at the pros and cons of marijuana legalization. The state is currently receiving comments from residents as Lt. Gov. John Fetterman completes a listening tour centered around marijuana.